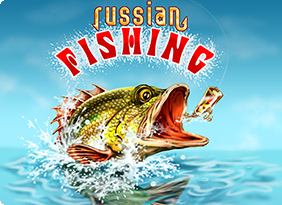 Russian Fishing For Nokia game - Light ripples on water, leisurely floating clouds and a beautiful view will take you from the stuffy, dusty city back to the heart of nature. Choose a spot for fishing, cast your rod and feel the first bite. Use your fishing skills, make sure that your line doesn't break and the fish doesn't get off the hook! ...... The only thing you have to do is simply add the data on your catch to the online statistics, where you can compete with other fishermen. View photos of the trophy fish; change the worn tackle in time! Remember that to haul out a huge sheatfish, you'll need the appropriate equipment that you can purchase in the shop after selling your catch. A practical realistic and fast approach to learning Russian words and phrases. Fishing Free Screensaver. Photos slideshow. Over 600 of the best pictures of the hottest girls fishing or boating. Qweas is providing links to Russian Fishing For Nokia 2011 as a courtesy, and makes no representations regarding Russian Fishing For Nokia or any other applications or any information related thereto. Any questions, complaints or claims regarding this application Russian Fishing For Nokia 2011 must be directed to the appropriate software vendor. You may click the publisher link of Russian Fishing For Nokia on the top of this page to get more details about the vendor.